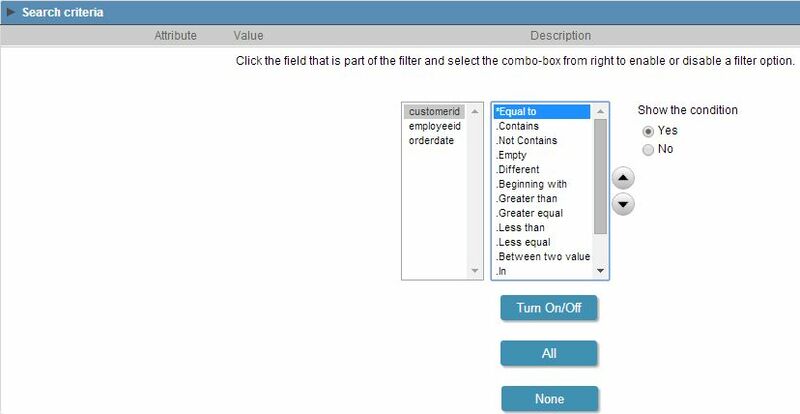 Allows to define filter options (SQL) for each field. The left list displays the fields and the right list has the filter options. To select options click on one option (Equal to, Beginning with, Contains, ...) and click on "Turn On / Off" button. Turn On/Off - Enable or Disable the field or selected option. All - Mark all fields or options. None - Unmark all fields or options.